Working at Nu. has meant that we are increasingly asked about the best places to shop when one absolutely needs a new piece of clothing. We get it. We love fashion too. A few of us here even have degrees in fashion design! So we really do want to help you achieve sartorial bliss, without harming someone else in the process. Our first suggestion would obviously be to come to our swap shops (currently held in WigWam, Abbey Street, every third Saturday of every month), but for those of you further afield than Dublin, we have some solutions too. Until our wardrobe-sharing app is up and running universally, here are some tips to aid your cravings. Check out how cute our monthly swap-shops are! Once you've decided your own priorities, choosing where to shop becomes a little simpler. There are a few digital stops that can set you off in the right direction. Now go forth and find your next lust-worthy ethically-made apparel! This website is so useful for looking up a range of factors of ethics in production lines. It's run kind of like a Wikipedia for consumer ethics. Each brand is assessed for their climate impact, environmental impact and labour conditions and are given a score card. They are then ranked according to their comparison with other brands in their sectors. This website is a great first stop to finding what you're looking for, but beware of the dread that sets in once you glance down and learn just how terrible of an impact the sneakers on your feet have had on the world. Don't get discouraged. Remember, every step in the right direction counts! Bonus points: You can even apply to become a researcher to help expand their investigations. A lot of brands are as of yet unranked, but with the help of the crowd-brain we can fill in the gaps! This wonderful company has been going since 1989 and has been consistently producing a print-turned-digital magazine to guide concerned people like you and I towards better consumption. They have produced many product guides using research into over 40,000 companies, brands and products. The Ethical Consumer is excellent for tips on how to steer clear of those pesky tax-avoiding multinationals, labour rights abusers and environmental offenders. They also produce company profiles for making blanket decisions about who to buy from and who to ditch. One of the highlights for me is their use of lovably cheesy graphics stamped across logos of brands to boycott for their revealed abuses. A useful, information-dense resource, and pretty easy to navigate. Bonus points: Subscribe to their magazine in print or digital format to support their work and get yourself some delicious prime cuts of consumer enlightenment. This is a cool little plug-in for your browser which will literally take away all temptation to shop online from brands that have dodgy child labour practices. (As if you really needed convincing.) It hides any brands from e-commerce sites like ASOS and Yoox, for example, who are proven or seriously suspected of violating child labour laws. More useful still is the list of brands and their level of complicity, so you can check out your shopping spots before heading into their stores IRL. It's all in German, but what else were built-into-your-browser translators made for? 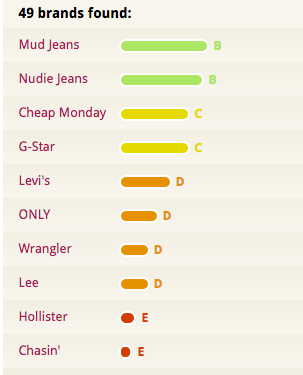 I love this website for finding clothes, underwear and other cute things that don't make my brain melt with sadness. There are lots of lovely listicles that can draw you into a binge browse of gorgeous clothes where you find yourself with a million open tabs that you 'will definitely go back to'. So if you're short on time, then absolutely be aware of what you're looking for and stick to the plan. It isn't always clear what the site deems 'sustainable' or 'ethical', but it's usually easy enough to look up the necessary information on the brand in question and see what their particular brand of 'ethical' means. I've found a lot of really great fashion brands this way. It's worth mentioning, though, to always check out unsponsored third party brand reports yourself before deciding on trustworthiness. Exactly what it says. This is another extensive online directory for you to check out the facts on brands you already know, or find labels that match your own views. There's a great little cluster of drop downs in the 'directories of fashion brands' to help you narrow down your criteria. They call themselves “the world's most comprehensive database of ethical fashion business and resources” which is an ambitious tagline, but one they are admirably living up to. An excellent tool to broaden your smarts on what’s what and where it comes from. This site is more of a learning experience than a database for a 'less bad' shopping spree. The Cradle to Cradle philosophy began in the 1970s. It basically means that products are designed to be eternally recycled back to their primary intended use, without loss of quality. This particular green and blue iteration is an offshoot of the highly recommended publication Cradle to Cradle: Remaking the Way We Make Things by architect William McDonough and chemist Michael Braungart – the book itself is even made from an eternally recyclable material. Check out the option on their website to 'Connect' and 'Become a Catalyst'. If you have about an hour free you can choose to spend it on their free online course which teaches you loads about the circular economy. There are some great little sneaky previews of cool things big and small brands are doing to become more sustainable too. I found out about Piñatex pineapple leather and their collaboration with Puma through this course! It's worth looking at even just to get you excited for the future and ever on the lookout for better options. There is a tiny, but growing database for fashion positive materials on their little digital sphere. Companies that have been certified circular get to display their wares with Cradle to Cradle. What an honour! “We don’t believe this is someone else’s problem” - a mantra we all need to take on when it comes to the shocking fact that slavery is still occurring in our ‘postmodern’ world. Take their satisfyingly illustrated quiz to find out how many people working in modern slavery are involved in providing your goods. Then find out how to lower your number to zero. The quiz is extremely well designed and user friendly - in other words, perfectly gamified. Throughout your quizzical journey, the page flashes up little tidbits of information on the production lines of popular products. I sometimes think that nothing can surprise me anymore when it comes to human cruelty, but boy was I wrong. "Better get cracking on that homemade eyeshadow", I noted to myself at one point. This site is great, because it gives you a quick hit of how to improve your consumptive habits so others don’t suffer needlessly. One of the main issues with consumer ethics is opacity of information, so the more we know about the products we use, the better. Lenny Abrahamson's Frank (2014), anyone? Hopefully this list comes in handy every now and then when you have some questions that need answering, so be sure to bookmark it in your 'Being Sound' folder. Finally, always keep in mind the ole '30 wears' benchmark when buying something. Quality is paramount, waste is for losers. 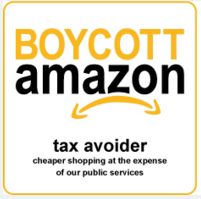 Happy researching and best of luck with all your newly planned boycotts! Inside-out shoes by Elisa van Joolen, reminding us to look beneath the surface when it comes to our purchasing choices.